The Arduino Yún is a microcontroller board based on the ATmega32u4 and the Atheros AR9331. The Atheros processor supports a Linux distribution based on OpenWrt named OpenWrt-Yun. The board has built-in Ethernet and WiFi support, a USB-A port, micro-SD card slot, 20 digital input/output pins (of which 7 can be used as PWM outputs and 12 as analog inputs), a 16 MHz crystal oscillator, a micro USB connection, an ICSP header, and a 3 reset buttons. 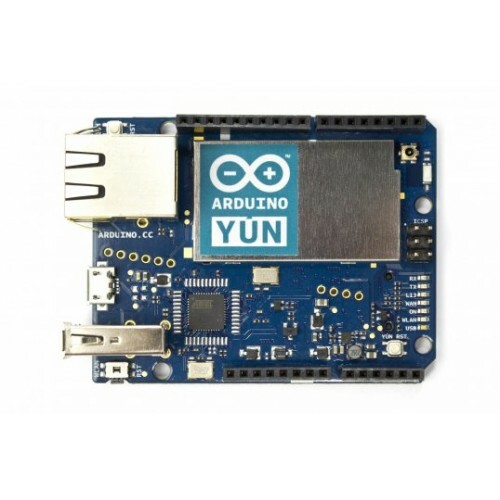 The Yún distinguishes itself from other Arduino boards in that it can communicate with the Linux distribution onboard, offering a powerful networked computer with the ease of Arduino. In addition to Linux commands like cURL, you can write your own shell and python scripts for robust interactions. The Yún has built-in USB communication, eliminating the need for a secondary processor. This allows the Yún to appear to a connected computer as a mouse and keyboard, in addition to a virtual (CDC) serial / COM port. 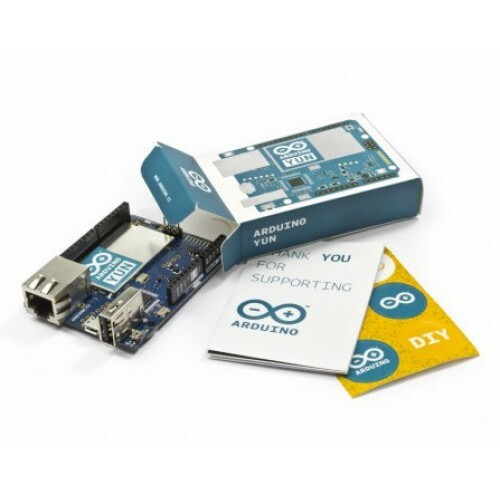 The Bridge library facilitates communication between the two processors, giving Arduino sketches the ability to run shell scripts, communicate with network interfaces, and receive information from the AR9331 processor. The USB host, network interfaces and SD card are not connected to the 32U4, but the AR9331, and the Bridge library also enables the Arduino to interface with those peripherals. the Yún has two processors, the summary section shows the characteristics of each one in two separate tables.